Huge Chinese construction programs in Gilgit-Baltistan could have disastrous effects on the regional environment while bringing only very limited economic benefits to the local population. 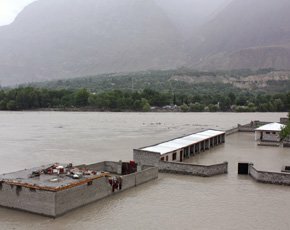 China’s high-stake poker game in Gilgit-Baltistan, a mountainous area that is part of the Kashmir dispute between India and Pakistan, will have disastrous environmental consequences for the entire region and beyond. Reports in the local and international media indicate that, over the past few years, Beijing has been steadily undertaking many infrastructure projects in that ecologically fragile region. Details of most of these works, some of them supervised by the People’s Liberation Army, remain sketchy, as both the Pakistani and Chinese sides are wary of disclosing information, presumably fearing local and international opposition.